Home :: TOOLS :: Scorer/Cutter for Glass, Ceramic, Vitreous & Mirror! Sandy Says: A must have in your mosaic tool box. This tool is not available in Hardware Stores. It has a smaller wheel than the standard scorer/plier and enables an easier score and snap method for straight and curved scores and cuts. -This is one of Sandy's favourite mosaics tools for scoring and snapping stained glass, mirror, ceramic tile and some special uses with china. 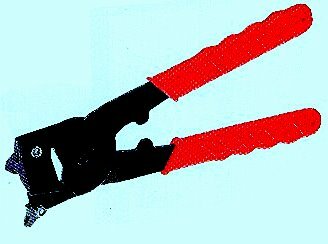 -Tungsten wheel tile plier with comfortable rubber handle. 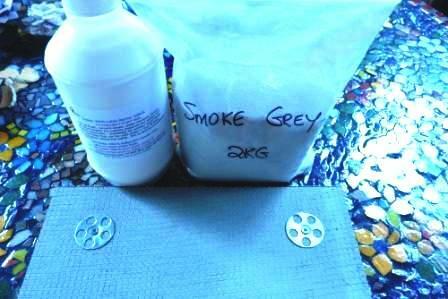 -Ideal for scribing and breaking glass mosaic tiles/ceramic tiles, stained glass and mirror (yes mirror!). Sandy has great tips and tricks re how to use and hold this tool! OzMosaics students rave over this information. 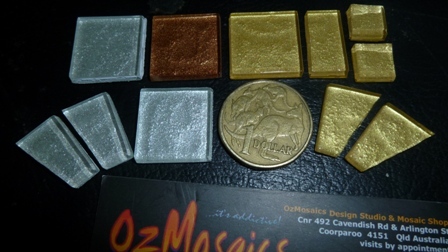 To to learn more book a workshop with Sandy at OzMosaics studio - there is more to this tool than meets the eye! Most students come to Sandy with no idea how to "handle" this tool. After 5 minutes they are in love with it! If you don't have this tool in your mosaic toolbox, you are missing out on a little beauty! 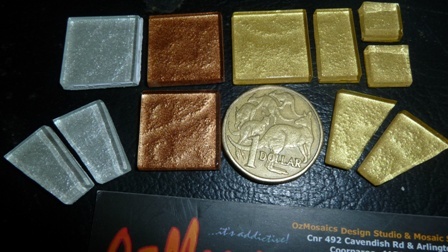 Here is a link showing how to use the tool by Sandy Robertson OzMosaics. Notify me of updates to Scorer/Cutter for Glass, Ceramic, Vitreous & Mirror!